Home / Lenovo A1000 Offical Flash File/Firmware All Verson Tasted Free. / lenovofiles / Lenovo A1000 Offical Flash File/Firmware All Verson Tasted Free. 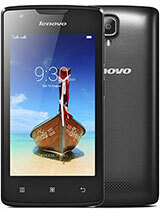 Lenovo A1000 Offical Flash File/Firmware. Note: Zip Password: Gsm Solution. ROW_fix (Fix white display & blinking display).